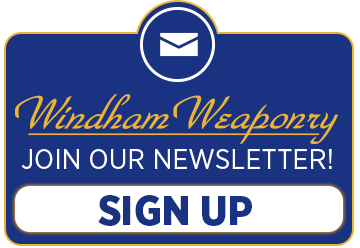 In this issue of our Newsletter, I wanted to show off our new Windham Weaponry .300 Blackout Pistol. With a 9″ chrome lined barrel and a weight of only 4.85 pounds, this piece is not only a blast to shoot, but easy to point and hold on target. The Hogue overmolded rubber pistol grip is a solid anchor for your shooting hand and the knurled, vented aluminum free-float forend keeps it accurate and cool. This pistol is designed for the shooter to add their favorite red dot or laser sight. See more details below, or ask your favorite local FFL dealer to bring one in-shop. What other caliber options do you have that will fit my WW-15 .223/5.56 lower receiver ? I was glad to see Eric’s tip last month in the newsletter. (See WW website / Media Section / April 2015 Newsletter – “Gas Ring Replacement”). I checked my rings, which are original with at least 2500 rounds through the gun, and mine were wasted. Luckily I had a set of new ones in a spare parts kit and changed them out with no problem. The shot at the bottom was a “oops”. Shooting 55 grain Hornaday ammo. This was at 100 yards. I wanted to thank Windham Weaponry for supplying me this rugged AR-15. We are holding the lines in Texas against ALL enemies foreign and domestic. Once again thank you for such a great rifle – Never once has it let me down. a Patent Pending hexagon surface pattern. Because multiple calibers can be used in an AR type magazine, the WW blue anti-tilt follower and blue baseplate insert can at a glance tell you these magazines are specific to the .223/5.56 and 300 Blackout, etc. caliber of your rifle for safety. The bright anti-tilt follower also offers safer clearing of your rifle’s chamber and is designed to keep residue particles from entering back into the rifle. Featuring a tool free design, no tools or bullet tips are needed to disassemble and clean the inside of this magazine. A heat treated 17-7 PH stainless steel spring allows for long term magazine storage while fully loaded and stainless steel resists corrosion unlike music wire or silicon steel springs. The HexMag 30 is also lighter than other leading AR15 magazines – tested and approved by the National Tactical Officers Association. HexMag Grip Tape allows you to customize your Hexmags, or any other flat surface, as well as provide additional grip. One sheet (46 hex shapes) is enough to cover both sides of one Hexmag magazine if you fill every hex shape of the magazine. Also, one sheet is enough to cover both sides of 2 Hexmag magazines if you fill 50% of the hex shapes of the magazine. The Grip Tape is already die cut into the exact shape to fill the hex-shaped cavities of the Hexmag magazine. You simply peel and stick onto the magazine. You can also apply the leftover hex grid pattern to other surfaces – nothing will go to waste! Choose from Black or Grey. Photo shows installation of Grey on a sample HexMag (magazine not included). The month of May has brought some very nice weather and the snow in Southern Maine is finally gone. May has brought a new rifle configuration to Windham Weaponry as well. We are very pleased to introduce the new 300 Blackout Pistol. This pistol will have a 9″ barrel and will also include many upgrades. I will be attending the National Sheriff’s Association show in Baltimore MD this year. I will be at the show on June 29th/30th in Booth #1275, so please come by and say hello. I will have one of the NEW 300 Blackout Pistols with me so stop by to check it out. 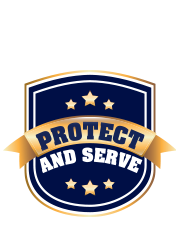 Are you active in law enforcement or the military? Are you retired from law enforcement or the military? If so I have a deal for you. Please contact my assistant or myself to receive special pricing on the R14M4PHLHT or the R14M4PHLHT-7. This is a 14.5″ barrel with a pinned and welded Phantom 5C2 flash hider, fixed A2 front sight with a .040 sight post and a 6 position telescoping stock. The price is so low that I can’t post it, so PLEASE send me an email for pricing. Again you must be an active or retired military person to qualify for this deal. This deal will ONLY be available for rifles ordered directly through Windham Weaponry until June 4rd. Please be aware that this rifle is NOT compliant in all 50 states. Here’s a photo I’d like to share with you. Windham Weaponry has shipped over 40 rifles to the Wardens of the Vermont Fish & Wildlife Service, and this shot shows a group out doing qualification shooting with their new Windham Weaponry rifles. Lori Tibbetts – Shipping Dept. Lori joined Windham Weaponry in April 2015 in the Shipping Department, which she says is “the best move I ever made.” She had previously worked in some other factories, mainly in the shipping and receiving department, and also did other things when she was not busy, being a Jack of All Trades. Lori grew up in Windham, Maine and worked at a gas station there for 8 years. She then moved to Denmark, Maine when she was 20 and met her husband. Together they both enjoy hunting, fishing, 4 wheeling, snowmobiling and shooting, including helping him with ammunition reloads. Their dog, Jake, even gets in on the action hunting and 4 wheeling. She very much enjoys working with her husband in the vegetable garden as well. Lori and her husband are also very proud of their son, who served in the Army as an MP. and Jake the dog standing guard!